A vape that can transport your body and soul to a spring time Fiji sunset. People at Cosmic Fog Vapors started with a purée of Japanese Nashi pears and blended it with a French inspired Crème brûlée. The closely guarded recipe is then topped off with a generous portion of soft salted caramel. 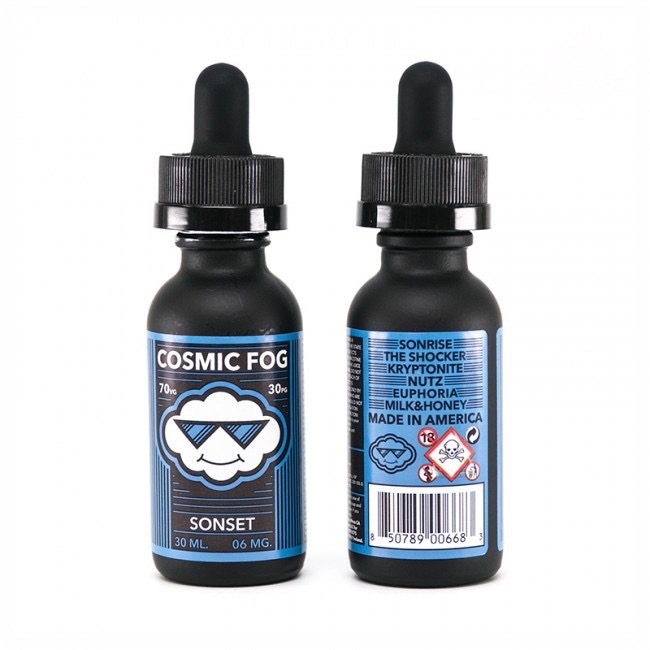 Cosmic Fog Sonset is a vape that can transport your body and soul to a spring time Fiji sunset. People at Cosmic Fog Vapors started with a purée of Japanese Nashi pears and blended it with a French inspired Crème brûlée. The closely guarded recipe is then topped off with a generous portion of soft salted caramel. First of all, Cosmic Fog Sonset is a really unique and distinct combination of flavors. However, it is also very smooth and pleasant. Just open up the bottle and you can immediately smell sweet fresh pears and silky smooth salted caramel. Additionally, the moment you inhale, an intense combination of Nashi pears, salted caramel, and Crème brûlée fills your taste buds. 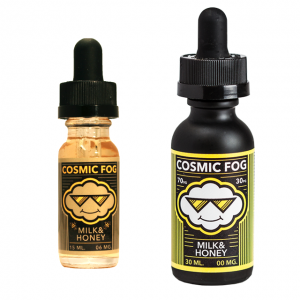 Cosmic Fog Sonset vape juice VG/PG ratio is 70/30 so it produces a lot of thick and smooth vapor that doesn’t hurt your throat. Overall, a definite must-have for any vaper searching for unique yet incredible flavors.